When learning how to apply financial planning concepts to the world of real estate and mortgages, there can be a bit of a learning curve. But once grasped, a homeowner can feel extremely empowered and confident in the decisions they make when borrowing and repaying mortgage debt throughout their life. One of the key financial planning concepts we teach homeowners is “The 3-Legged Stool”. This refers to the three tests for all investment decisions: liquidity, safety, and rate of return. Whether you have $10, $100, or $1,000 to save or invest somewhere, you must assess your options from these three “legs” of the stool. Home equity is an investment. Home equity is simply the difference between what your house is worth and what you currently owe in the way of a mortgage. Home equity is the result of your initial down payment, additional principal payments made each month, or the market’s increase of the value of your home. Most likely, your home equity grows as a combination of all three elements. The mistake most homeowners make it not viewing home equity like other investments. They make large down payments whenever possible; sometimes even paying cash for a new house. They send in extra money every month beyond the minimum monthly payment. They choose a 15-year mortgage over a 30-year mortgage, with the goal to pay down the loan faster and minimum long-term interest expense. But what is the best option for homeowners? Well…it depends. Let’s just focus on the first leg of the stool today: liquidity. 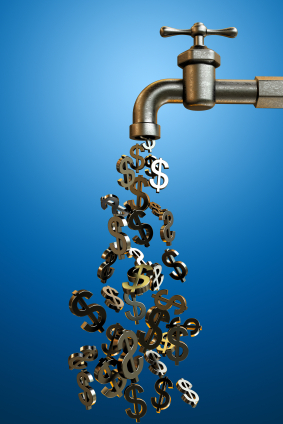 Liquidity refers to how readily available your money, or an asset is. Cash under your mattress is extremely liquid. Checking accounts and event investments are available the same day or within 24 hours if you suddenly need money. So how easy is it to access the “wealth” inside your house, called home equity? As you can quickly see, neither option is going to provide you the much needed money if an emergency was to come up, such as a job loss, health problem, or even an investment opportunity that presents itself. So what is the best solution? Again, it depends. My advice is never cut and dry, and applied to everyone. The best solution is to be educated on what liquidity means, and then gain a greater understanding on how important it is to have easy, quick access to your money when and if necessary. As I have been telling homeowners for years, nobody lost their home after the crash of 2006-2007 due to the value dropping; they lost their home to foreclosure or short sale as soon as they did not have the funds to make the monthly payments. It is the hard reality of how banks and the mortgage industry work. You can make a large down payment, pay extra every month, choose a 15-year mortgage instead of a 30-year mortgage…and none of that matters if you suddenly lose a job and do not have the funds to make your minimum monthly payments until you are back on your feet. Again, there is no “one size fits all” solution. We simply help homeowners understand critical financial planning concepts, and then apply them to their decisions when financing real estate. At Aspire Mortgage Group, we teach this and many other important money strategies with The BorrowSMART Conversation™. Home equity is not liquid when compared to other options for storing your hard earned cash. So plan wisely and learn to BorrowSMART™ when buying a new house, as well as RepaySMART™ throughout years of homeownership. If you have questions, please do not hesitate to call or email us. We love to educate and empower you to achieve a Bigger, Better Future™. This entry was posted in Blind Spot 2: Increasing Fiscal Literacy, Blind Spot 3: Storing Money Efficiently and tagged Aspire Mortgage Group, blind spots, Buying a new home, Creating Wealth, emergency money, Equity, equity vs liquidity, finances, financial advisor, financial future, financial planning, home loan, home loans, investment assets, investments, Mortgages, Portland Real Estate, Real Estate, Refinancing. Bookmark the permalink.